tournament - players from Ghana and Zimbabwe have just confirmed their participation and will be going head to head with some of South Africa’s top talent. The annual competition of the Sport of Kings will be hosted in Joburg on the weekend of18 – 20 July, at the home of polo, Inanda Club. Visitors can look forward to a dazzling display of speed and skill from the best horsemen on the continent, where 10 competitive teams set the field for Jozi’s top urban brands to meet in fashion and urban lifestyle. On the Open Day - Sunday 20 July - the gates open at 10am. Over the years, the development polo programme has provided opportunities for talented underprivileged and aspirant players to participate in the sport and flourish as true professionals. development programme players that serve as catalysts in changing perceptions about the sport,” states Paul Oosthuizen, the Inanda Club Manager. 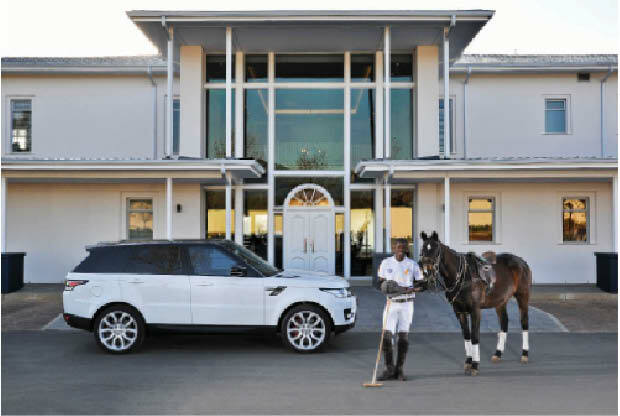 There are a number of incredibly talented development players including Zompie Tsotetsi, who is making headlines in the polo world. The strong focus on developing players over the past five years has changed the face of polo from that of an elitist sport to that of a sport for the people, and we’re proud that Inanda Club has been behind this transformation.” says Craig James, the Inanda Club Polo Manager. General public entry is R150 per person purchased through Computicket or at the Inanda Club entrance on the day. Hospitality Packages are available from Mason Company. 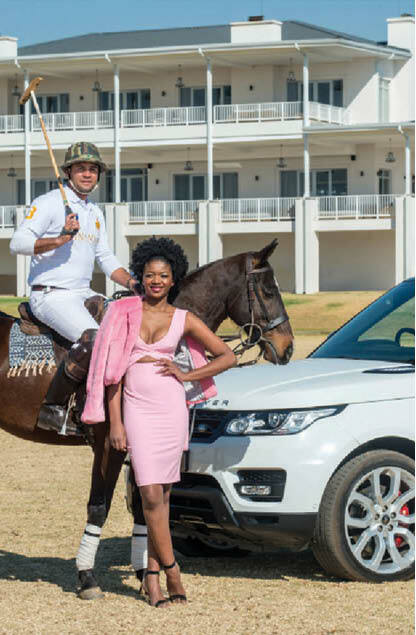 “We hope that spectators will join us to witness the excitement and elegance of the Land Rover Africa Cup, which fits perfectly with the power and style of the Land rover brand,”says Peter Biven, Marketing and Communications Director of Jaguar Land Rover South Africa and sub-Sahara Africa. We wish to thank our Partners in making the event possible - Land Rover, City of Joburg, Gauteng Tourism Authority and VeuveClicquot, including a host of lifestyle partners, Estee Lauder, Dermalogica, Bodytec, Dazzle Hair, Kluk CGDT, By Word of Mouth and Gearhouse SA.